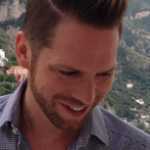 'Gay Sweater' Takes Back The Phrase "That's So Gay"
Timed to coincide with World Mastercard Fashion Week in Toronto, the Canadian Centre for Gender and Sexual Diversity has debuted The Gay Sweater Project. 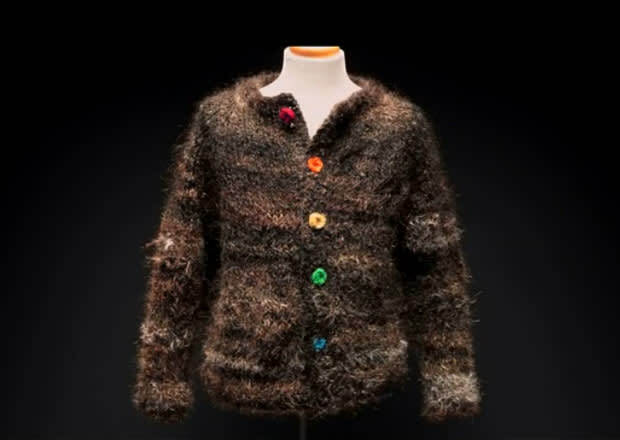 #TheGaySweater is "the world&apos;s first and only gay object," woven from the donated hair of over 100 LGBTQ Canadians. Knitted from the donated hair, the sweater (complete with rainbow buttons — hair that’s been crocheted and dyed — and a tag that reads 100% Gay) is part of the Ottawa-based centre’s initiative to combat bullying and discrimination in schools and youth communities by spreading the message that words like “gay” shouldn’t be used in negative or derogatory ways. "I would love to grow up in a world where &apos;that’s so gay&apos; wasn&apos;t a thing," said CCGSD director Jeremy Dias in a YouTube video (see below) unveiling the creation. "In literalizing a gay sweater I’m hoping that people will reflect on what they say and how they treat people." After World Mastercard Fashion Week in Toronto concludes, The Gay Sweater will be used as part of the organizations workshops and will travel to schools, businesses and museums across Canada.